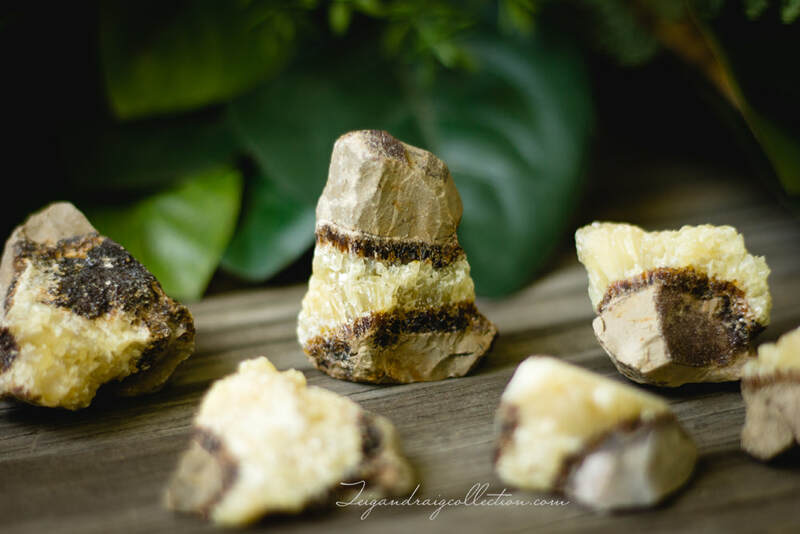 Septarian, also known as Dragon Stone, is a geode that is a combination of yellow calcite, brown aragonite, grey limestone and white/clear barite, thus it has properties of each of its component minerals. Its name comes from an old Malagasy (the language of Madagascar) legend. 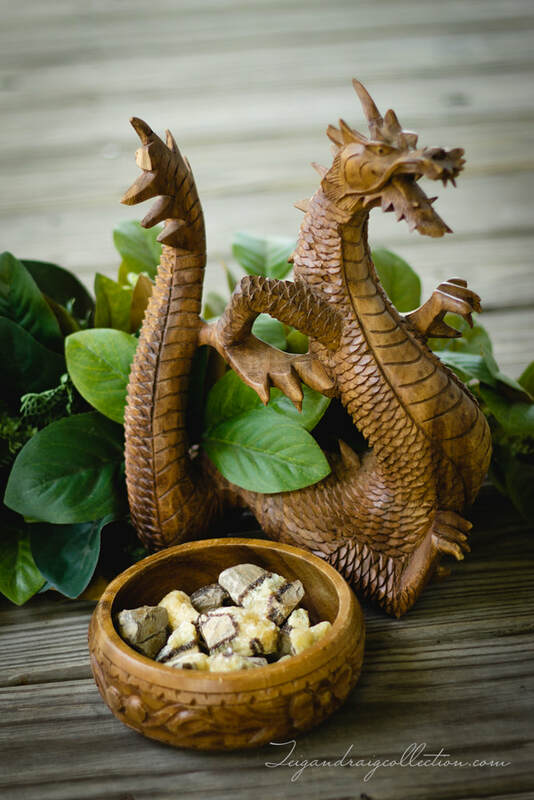 It is said that when the ‘Dragons’ died out they fossilized and became a part of the sea bed that later became Septereye/Septarian. It is this formation that resembles the ‘Scales of Dragons’. Septarian brings calming energies which have a nurturing feel to them, and can bring feelings of joy and spiritual uplifting. Septarian is used to enhance and nurture communication with groups, making it much easier to speak clearly and kindly in group settings. Septarian is also used to assist with communication with Mother Earth. It is said to bring unconscious foreknowledge needed by the user to help him or her always be prepared for what is coming up. 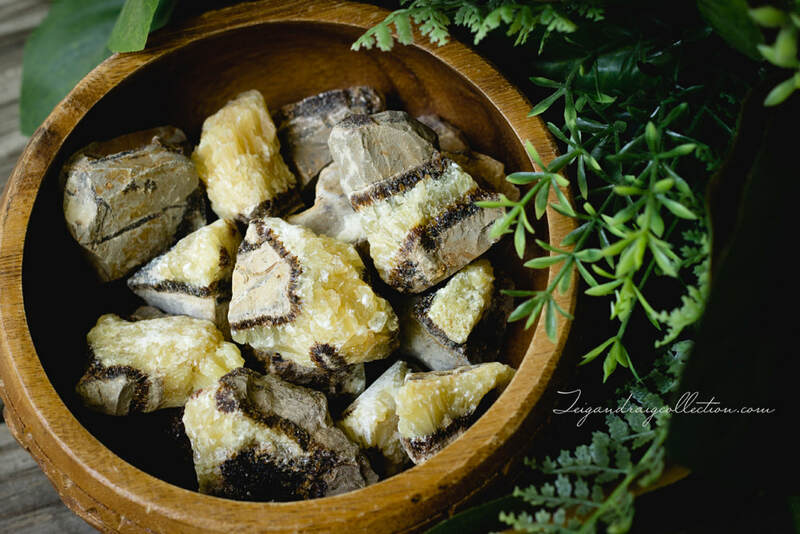 In crystal healing folklore, Septarian is used for healing of the blood and kidneys. Septarian is related to the lower chakras, root, sacral and solar plexus. Septarian allows for better tolerance and patience, as well as emotional flexibility. It promotes both calming and understanding on the emotional level. Septarian enhances feelings and the condition of well-being and provides for a merging with and amplifying of ones energies.